Which Modernism in the Monterey Bay? The Monterey Bay was a playground for experimental architecture from renown architects to lesser known personalities. What makes the Modern Architecture in the Monterey Region distinct from the rest of California as well? And how can the specialist and the lay people recognize what is of merit versus what is ordinary in this period? 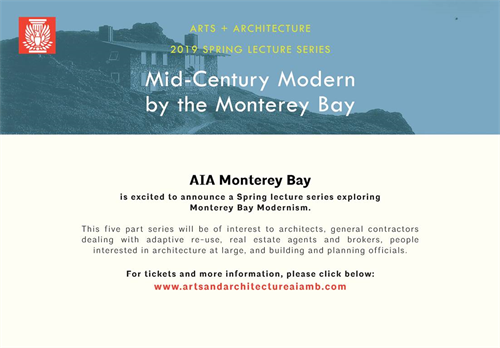 This lecture will also present the work of specific architects that either operated in the Monterey Bay or left designs of significance while based somewhere else will be presented. Specifically, from the first group will be featured the work of Henry Hill, John Konigshofer, Olof Dahlstrand, and Kipp Stewart among others. From the second group the designs of Gordon Drake, Campbell & Wong, Skidmore Owings & Merrill, and William Wurster will be discussed.